The other day I was walking my dogs on the bank of the Barongarook Creek when this Australian Pelican (Pelecanus conspicillatus) landed on the water and begun hunting for food. 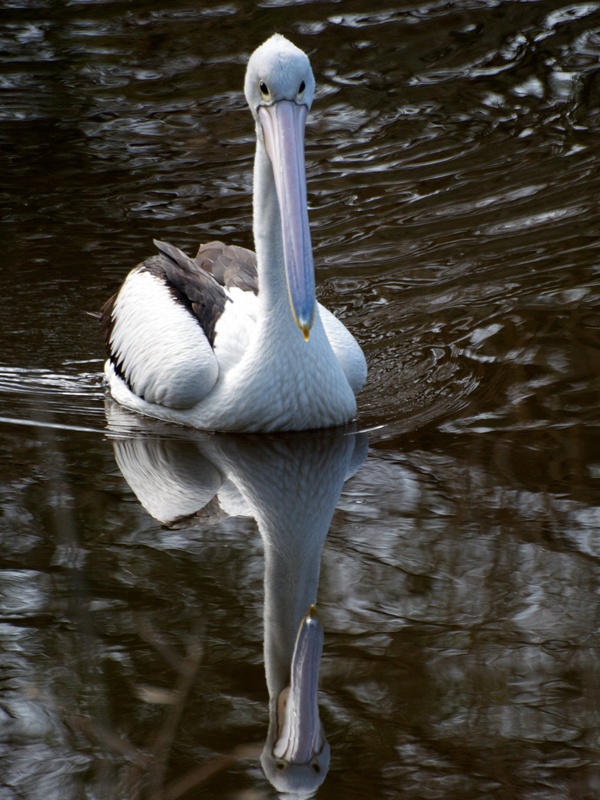 As it swam towards me I could see the Pelican’s reflection and I immediately wanted to include it in the photograph. 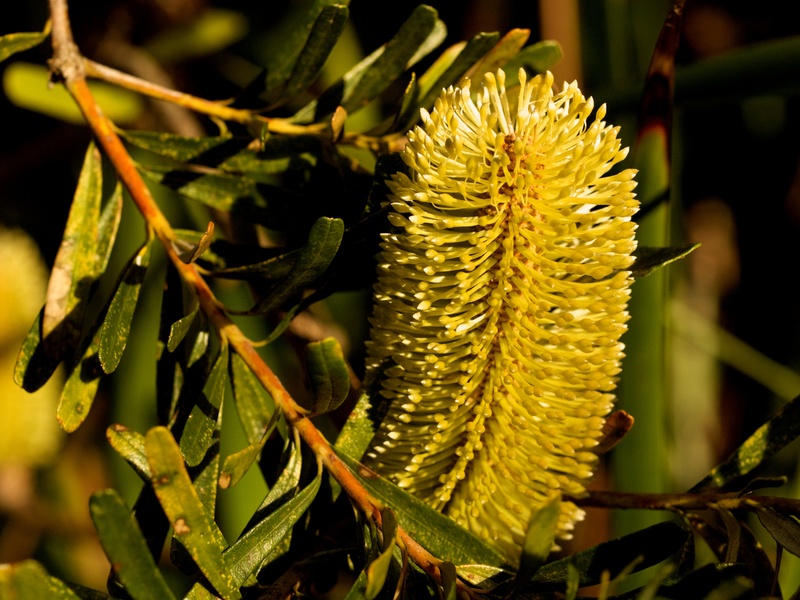 The Banksia is a native Australian tree or bush. 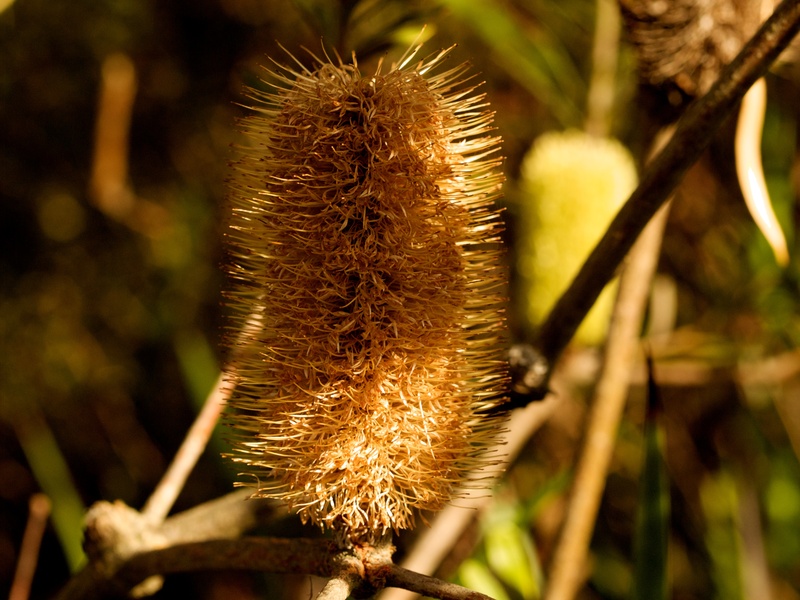 The following three images illustrate perfectly the life of the flower spike which is much sort after as a food source by nectarivorous animals, including birds, bats, rats, possums, stingless bees and a host of invertebrates. 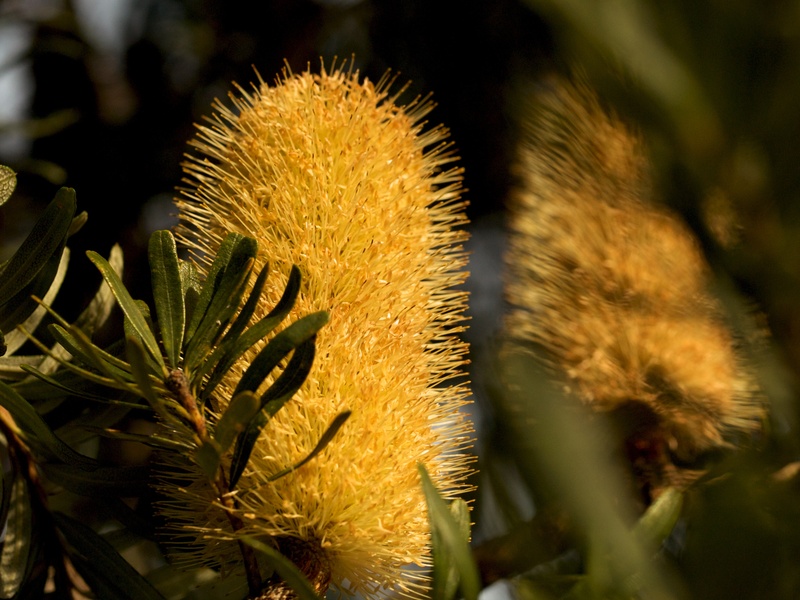 The flowers are also of an economic importance to the Australian nursery and flower industry. These images were taken at the Geelong Botanic Gardens in autumn. The first photograph shows the flower in its perfect state. The next image shows a flower spike after it has been visited by a nectar seeking bird or other animal. This flower spike shows distinctive signs of being visited by nectar seeking animals. And, finally, a flower spike which has no, or very little, nectar left to share. A flower spike with no nectar left.